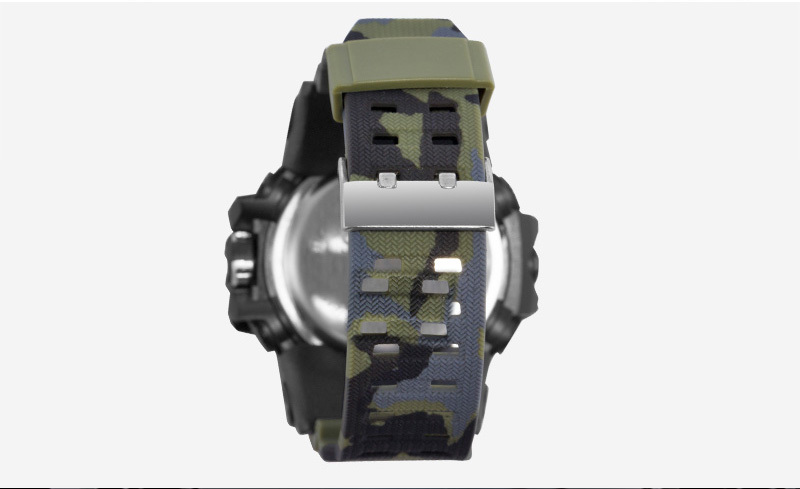 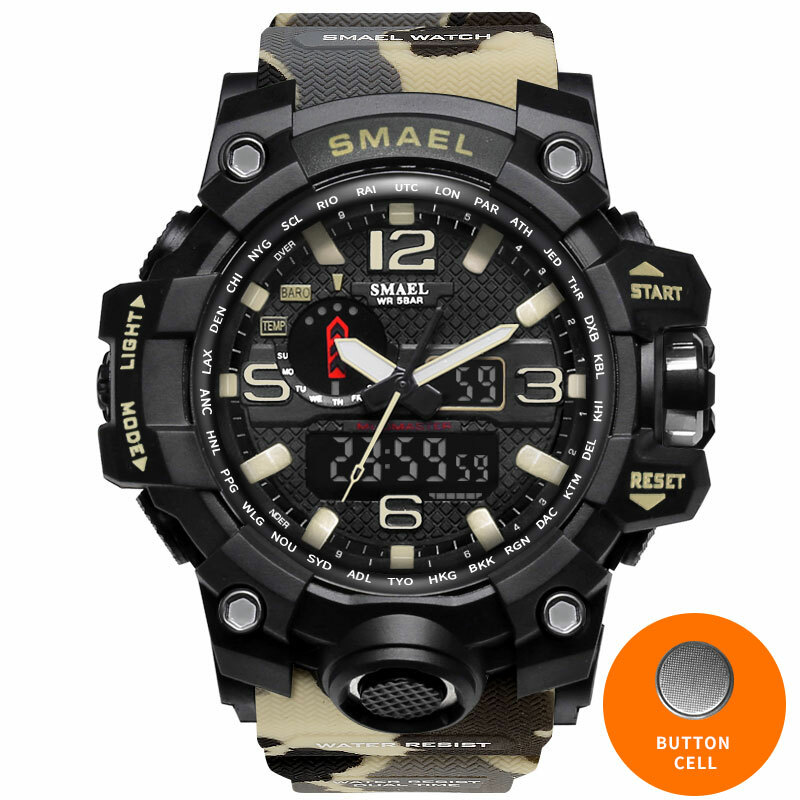 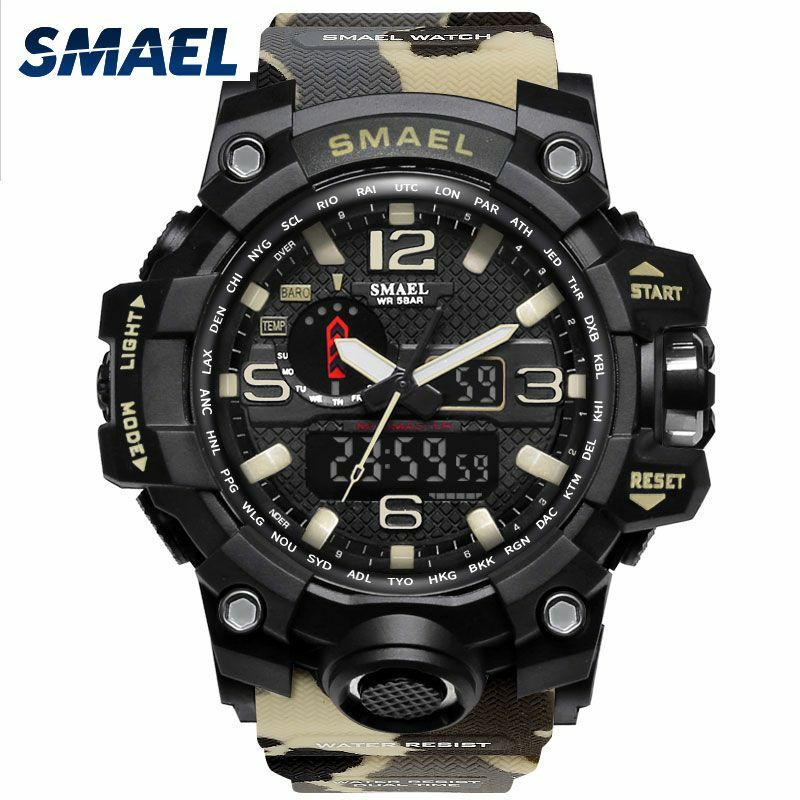 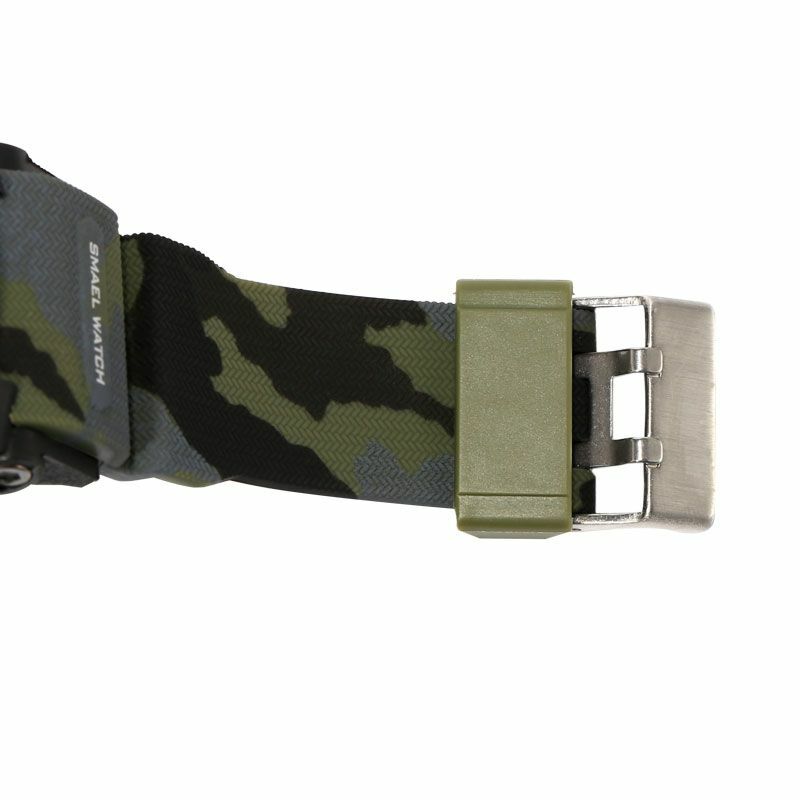 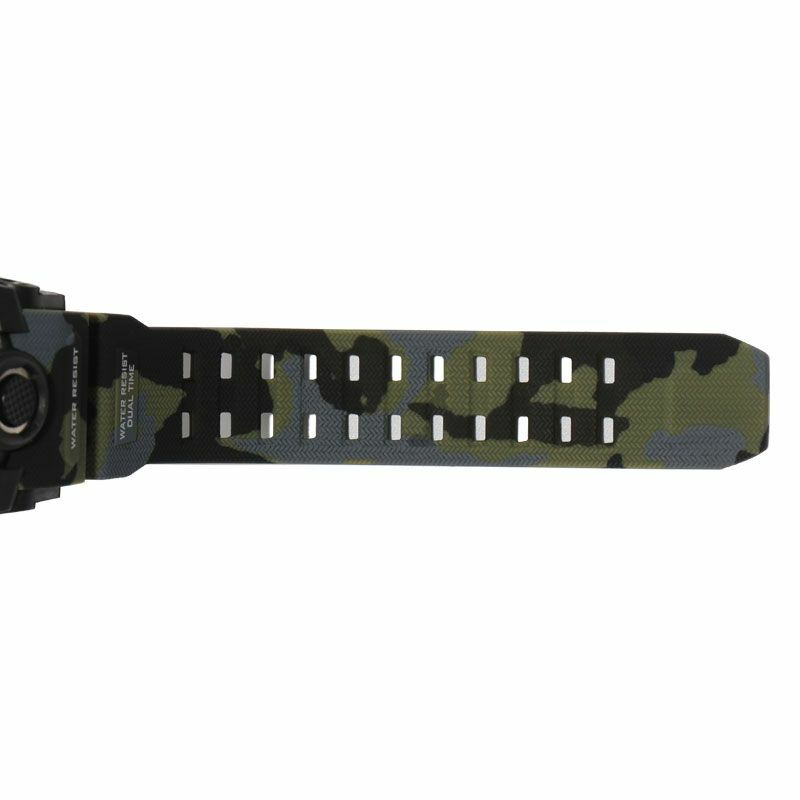 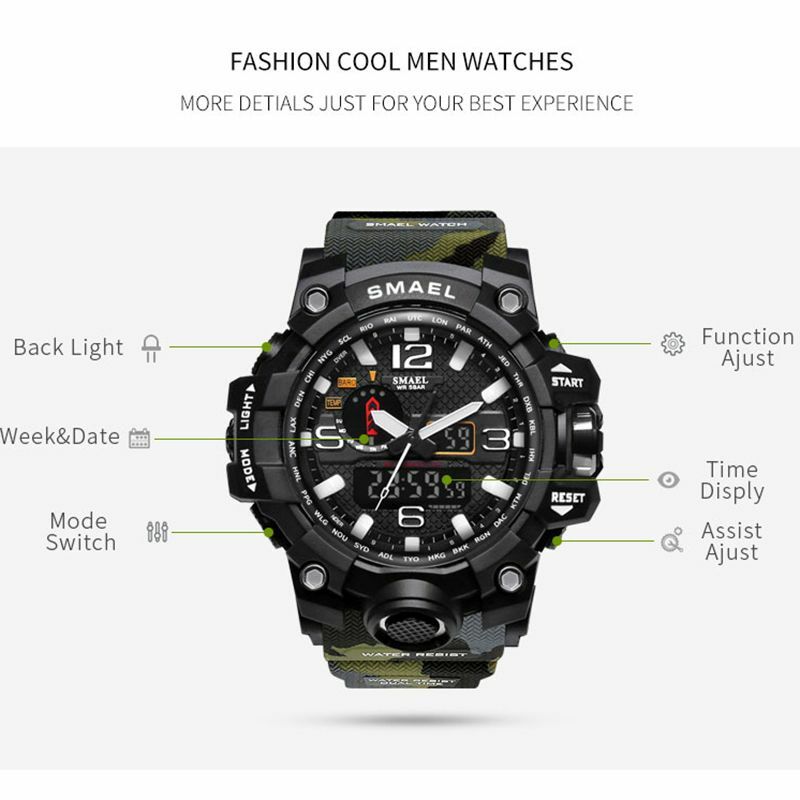 Military time, looks more like a tactical watch. 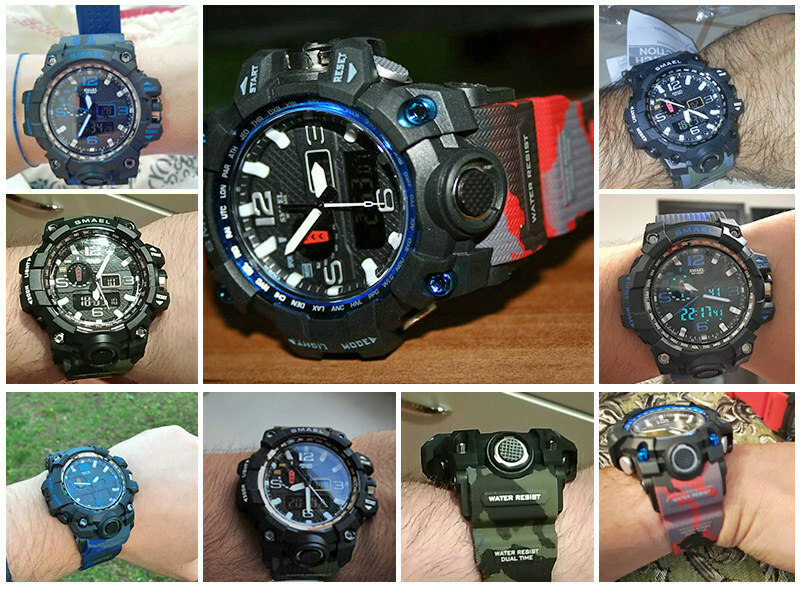 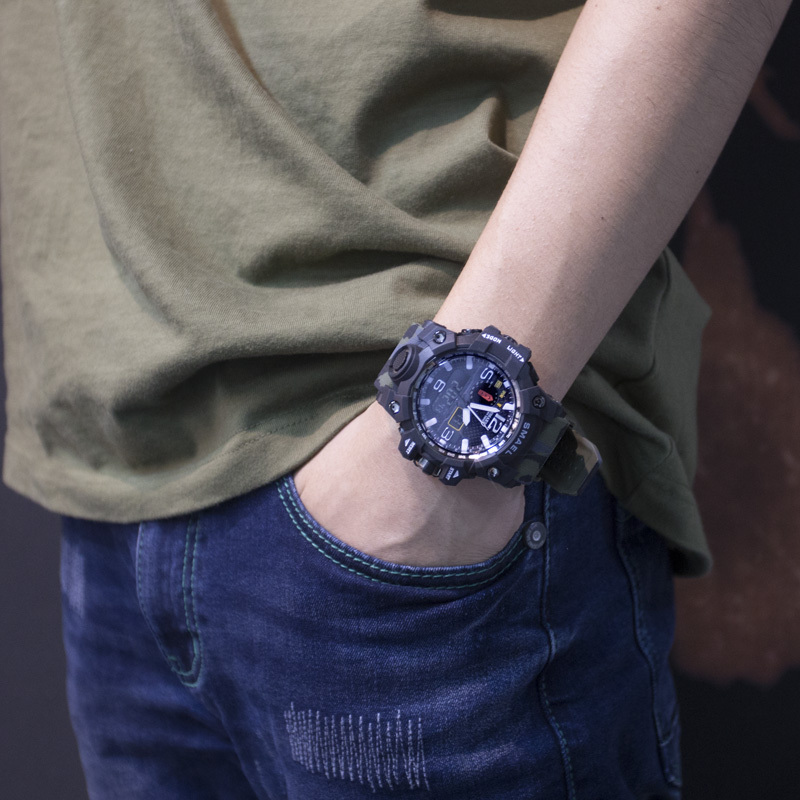 Reinforced resin band design is more ergonomic,comfortable to wear. 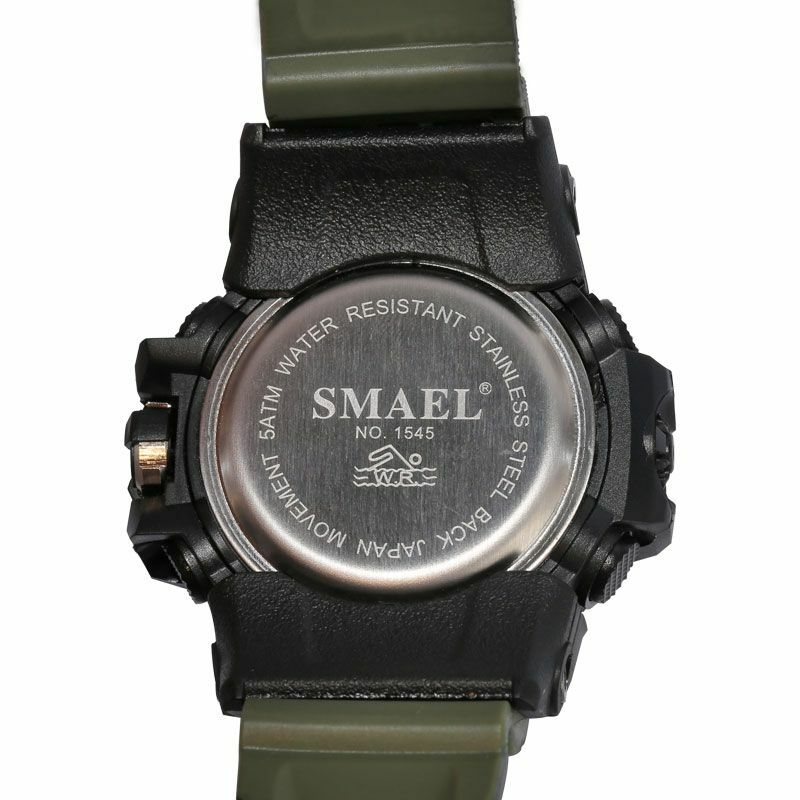 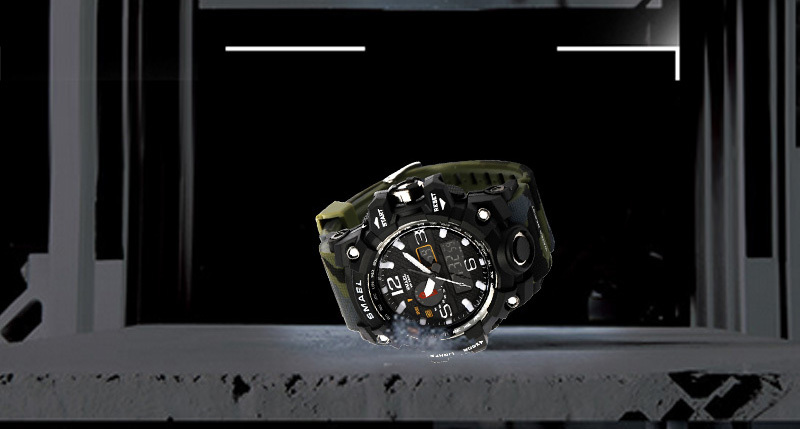 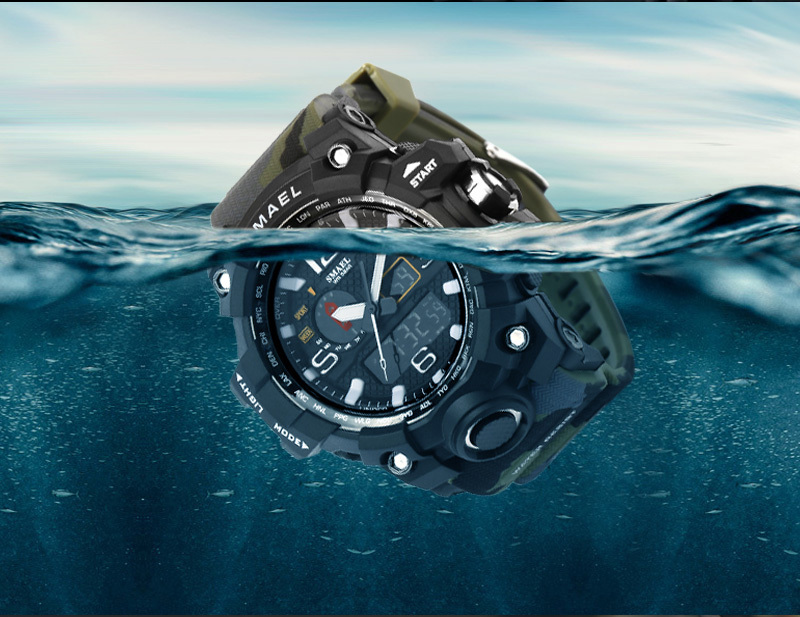 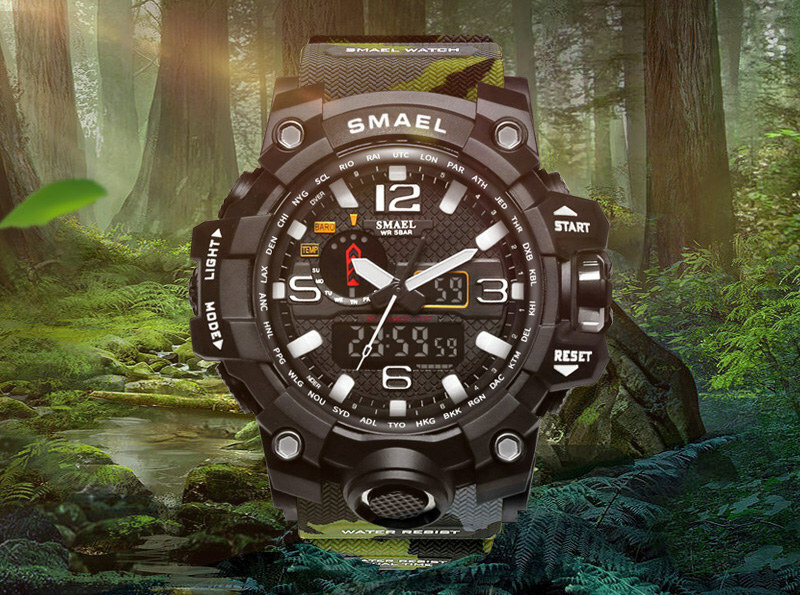 Water resistant to 50M/165FT meet the daily life and outdoor activities. 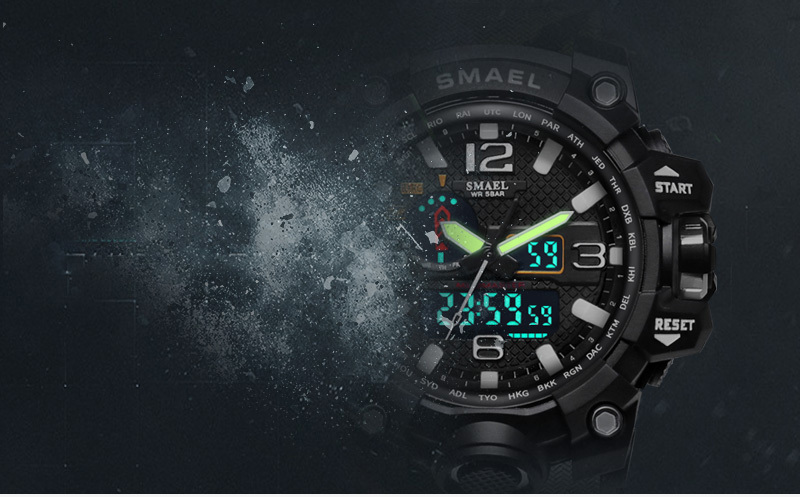 Quartz movement with analog-digital display,allows you to set a second time zone freely.